Showing results for tags 'flash 105'. Normal Apply: No probies or Bad-List B-Holes 1st person to agree to terms with me on a book takes it, whether it be via or PM....the sale will be dictated by earliest timestamp. Priority shipping is covered by me to anywhere in the U.S. (international buyers PM for prices) I accept paypal, check, money order, or any other reasonable form of payment (no magic beans please ) Returns are fine if the reason is reasonable. My ebay handle is topcitycomics....I have over 1975 feedback there...all positive except one toolbag who had to leave me negative feedback for being out of stock on a $10 book & forgetting (yes, after I refunded him instantly) ....and for even more reading, my kudos thread is quite thrilling: https://www.cgccomics.com/boards/topic/245483-top-city-comics-feedback-thread/ THANKS FER LOOKIN!!! Normal Apply: No probies or Bad-List B-Holes 1st unconditional takes it, but PM's & offers are welcome Priority shipping (including signature confirmation) is covered by me to anywhere in the U.S. (international buyers PM for pricing) insurance will be added as necessary. I accept paypal, check, money order, or any other reasonable form of payment (no magic beans please ) Returns are 100% accepted 100% of the time, no matter the reason! 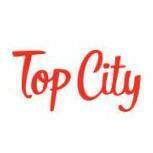 My ebay handle is topcitycomics....I have 1800 feedback on there and my kudos thread is below! https://www.cgccomics.com/boards/topic/245483-top-city-comics-feedback-thread/ Thanks fer lookin!!! 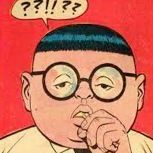 _Chill_Will_ posted a topic in Comics Market - Want To Buy!